LOW KMS | NO ACCIDENTS | PREMIUM PACKAGE | STAR CERTIFIED | C400 4MATIC AWD | A great buy and great car has just arrived here at Mercedes Benz Edmonton West. The C400 was the beginning to the very successful C43 in the C-class Line. Great benefits and more importantly to the AMG series would be the 4Matic Aspect bringing you All wheel drive while combining the AMG force to your engine. Giving you the drive dynamic to your choosing whatever the occasion and mood. C43's Premium Package comes loaded with a Burmester Surround sound system, Heated Front Seats, Navigation System, Rear view Camera, Parktronic with Active Parking assist, Sirius Satellite ready , Keyless Go, and a ton more! This 2015 C400 has also completed a full Star Certification, which qualifies it for an extended warranty as well as low financing options. For more information please call us at 780-484-9000 and a Certified Specialist will be more than happy to assist you! | PREMIUM PACKAGE | INTELLIGENT DRIVE PACKAGE | CLEAN CARFAX | NO ACCIDENTS | ALBERTA OWNED ONLY! | A perfect E400 Sedan has been added to our ever growing lineup here at Mercedes Benz Edmonton West. Previously a Leased vehicle, completing all its inspections , and fully taking all the recommended Services as per all Leases this E400 is ready and qualified for Star certification Status. Included in the Premium and Intelligent Drive package the options come equipped with Panoramic Sunroof, 360 Camera, H/K Surround sound system, Heated Rear Seats, and additionally with the Active Blind spot monitoring , Active Lane Keeping assist, Distronic Plus ( Radar Cruise control) and a ton more enhanced safety features! 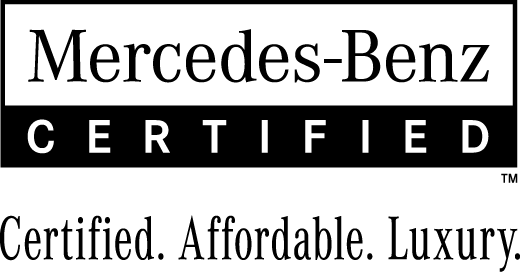 Our mechanical fitness assessments, and Safety inspections are fully review able upon your arrival here at Mercedes Benz Edmonton West. Save $$$ and request a test drive today at 780-484-9000. Our Certified Specialists will be more than happy to assist! CLEAN CARFAX | STAR CERTIFIED | 350 BLUETEC | SPORT PACKAGE | 20INCH 5 SPOKE WHEELS | PREMIUM PACKAGE | TRAILER HITCH A Great addition to our Pre-owned Lineup here at Mercedes Benz Edmonton West. Fresh 2015 ML350 that was traded in by a client that was simply looking to upgrade! Equipped with Premium options such as 360 Camera, Panoramic Sunroof, Navigation , Heated Seats, Harmon Kardon Surround System and a ton more! With the Sport package additionally you will be getting the Adaptive Damping System, AIRMATIC suspension, monstrous 20 inch AMG 5 spoke wheels, to enhance every trip! Completing a full Star Certification this ML350 qualifies for extended warranty on top of factory as well as very competitive rates when financing! For more information and to book a presentation please call us at 780-484-9000 and one of our Specialists will be more than happy to assist! STAR CERTIFIED | PREMIUM PACKAGE | INTELLIGENT DRIVE PACKAGE | LOW KMS | 4MATIC AWD | A very rare E400 Sedan has arrived here at Mercedes Benz Edmonton West. With only 21,871 kms this E400 has barely been driven! Qualifying for Star Certified programs as well as an additional 2 year Extended Warranty on top of factory, this E400 is perfect for any client looking to get into a Benz. Premium Features in the E400 include a beautiful Panoramic Sunroof, 360 Camera, Adaptive Highbeam assist, Hardmon/Kardon Surround Sound System, Heated Rear Seats, Keyless/Parking Package and a ton more! The E400 has our highest safety ratings through IIHS so rest assure you are not only getting into a luxurious E class, but more importantly a safe one! Call us today at 780-484-9000 and one of our Certified Specialists will be more than happy to assist!